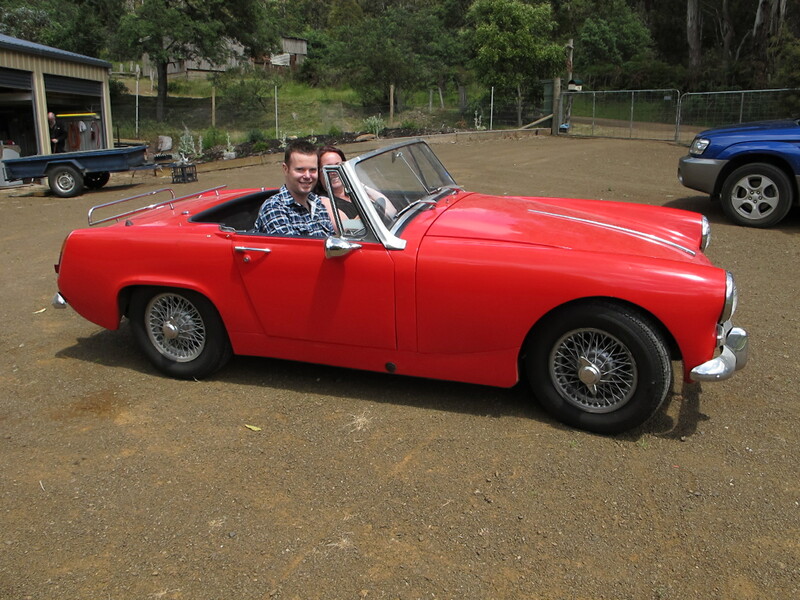 Meet Gidget, my little MG Midget that I bought a couple of years ago. She is really special but has been hidden away in our shed since we moved here about 18 months ago. 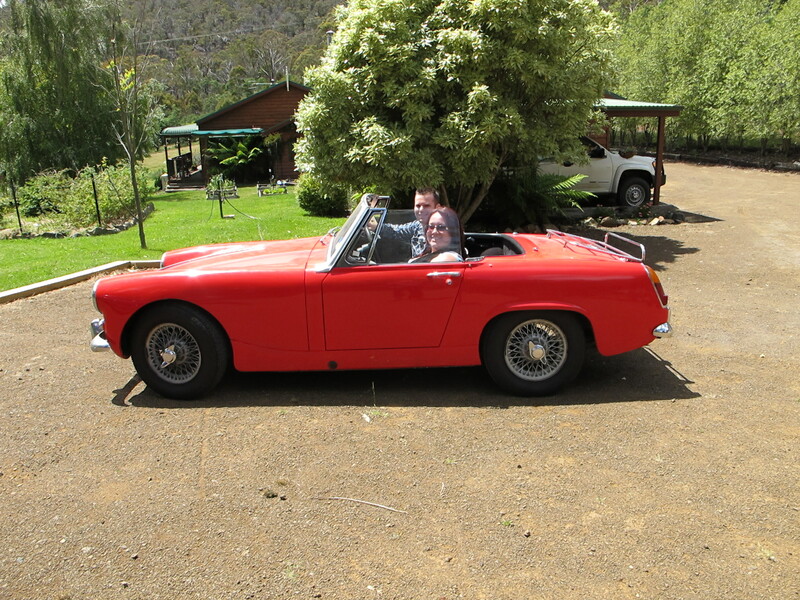 Son-in-law Nat just checked her out and she is still in tip top condition mechanically, so he and Stephanie have taken her for a spin. I LOVE the little luggage rack on the back, perfect for holding a basketful of fruit. I bought Gidget especially for gathering produce in the countryside, so you’ll be seeing a lot of her zipping around the Derwent Valley in search of the best that this summer and autumn season has to offer.